The 10 Best RV Trips To Take In California - Must See! California is a unique place to visit. In four hours, you can go from lying on a sunny, palm-lined beach to world-class skiing atop a snowy mountain. The state has everything from San Francisco fog to the baking Mojave Desert to The Happiest Place on Earth. Some of the country’s most amazing geologic features including lava tunnels, bubbling mud pots, and 5,000-year-old trees can also be found in the state. It was hard to narrow them down, but we’ve found the 10 best RV trips to take in California. This California RV trip planner has you covered from the redwoods of northern California to the beaches of SoCal. Your California RV trip itinerary should include a stop to one of the country’s most popular national parks. Yosemite may be best known for its waterfalls, but the park’s geologic wonders include the famous Half Dome, the rock climbing mecca El Capitan, and the giant sequoias at Mariposa Grove. Be sure to take the short walk to Bridal Veil Falls, as well as the hike to Vernal Falls and the drive to Glacier Point. While there’s much to see in the Yosemite Valley, you could easily spend more time venturing into the other 1,200 square miles of the park. Visitors can bike, go horseback riding, backpack, fish — there’s even a ski resort for winter visitors. With plenty to do year-round, Yosemite should be on the must-see list for anyone visiting the state. 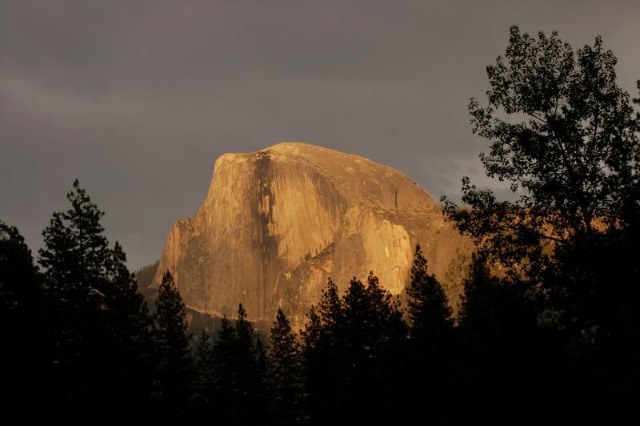 Yosemite has 10 campgrounds within the park that can accommodate RVs and trailers. It’s recommended that you make a reservation as soon as possible to ensure your spot, though there are some first-come, first-served campgrounds. 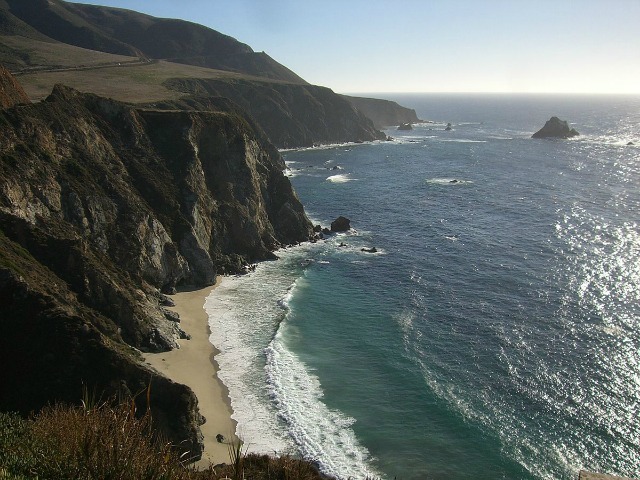 If you’re looking for more California RV trip ideas, Highway 1 has some of the most dramatic coastal views in the state of California. The highway stretches from Orange County in southern California to Mendocino County, north of San Francisco. The entire drive should take several days if you’re going to stop and enjoy the places in between properly. Be sure to visit the Mission San Juan Capistrano, make a stop in Santa Barbara, and plan to take your time in places like Big Sur, Pt. Lobos (a little-known state reserve), Carmel, and Monterey on your journey north. Take note, part of the highway is closed near Big Sur until June of 2018 due to a massive mudslide, and a detour will be required. Each stop along the route has campgrounds, but Carmel is a wonderful place to stop for the night. Saddle Mountain Ranch, located five miles off of Highway 1, has a swimming pool and beautiful views of oaks, Monterey pines, and redwoods. Moss Landing KOA Express is located in the heart of Monterey Bay National Marine Sanctuary and is just a short walk from the beach. For southern California RV trips with kids, Disneyland is definitely a winning stop. Get a park hopper pass and visit both the original Disneyland, which opened in 1955, and the newer California Adventure next door, where kids can hang with Lightning McQueen, Mater, and the gang and where the very brave can ride the newly opened Guardians of the Galaxy-Mission: BREAKOUT! ride with its stomach leaping drops. If you’re looking to beat the crowds, plan a trip in mid-winter or in the fall. If you want to be at the height of the excitement and take advantage of longer hours, head to the park in the summertime. Download an app that will tell you the wait times for various rides the day you visit, so you can plan your time…and don’t be afraid of a little rain. Wet days mean fewer crowds and shorter lines! Although it’s easy to be awestruck by the brightest new rides at Disneyland and California Adventure, be sure to save time for classics like The Haunted Mansion, the kitschy Jungle Cruise, and — of course — for It’s a Small World. Price: prices vary, depending on dates and the number of parks you’re attending. One-day park hopper passes range from $97-$124 for kids and $157-$174 for adults. 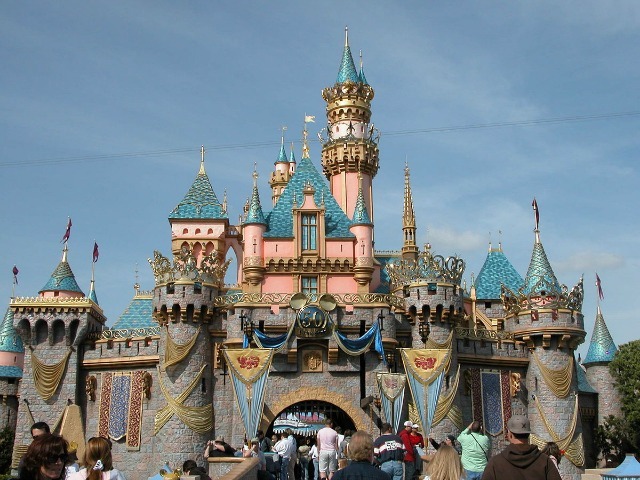 Keep in mind that the purpose of RV camping near Disneyland is to get you to the park conveniently and quickly. RV campsites near the park are in city and suburban areas, without a lot of nature nearby. The Anaheim RV Park is one mile from Disneyland and has a shuttle to take visitors to the park. The Anaheim Harbor RV Park is within walking distance of the Disneyland Resorts and offers a great view of the fireworks from Disneyland if the kids tucker out and you leave early. Santa Cruz is a great stop on California RV road trips. The area has a variety of beaches, from the popular seashore boardwalk to quieter natural reserves. 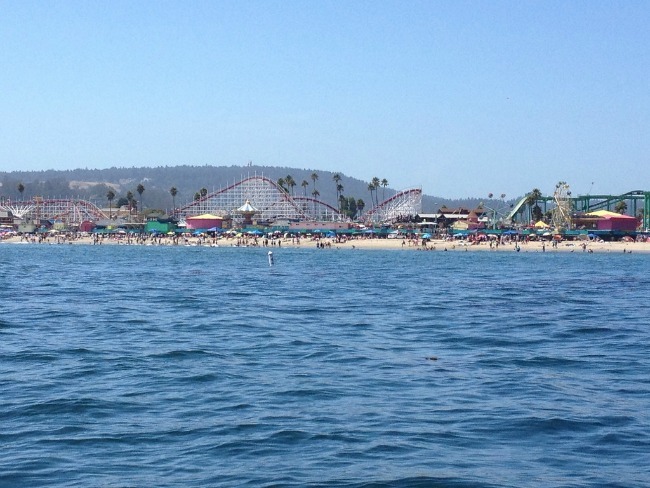 Be sure to visit the Santa Cruz Beach Boardwalk to experience newer boardwalk rides, but also old favorites like the Giant Dipper roller coaster, which first opened in 1924. The Looff Carousel, which has been in operation for over 100 years, is a National Historic Landmark. East of the Santa Cruz Boardwalk, New Brighton State Beach is less populated, which also makes it a bigger home for native birds and wildlife. The park has picnic areas, swimming, fishing, and a forest of Monterey pine and coastal live oak. There is also a visitor center where guests can explore the stories of people and cultures that are part of the region’s history. Price: an all-day ride pass is $36.95, but guests also have the option of purchasing one ride at a time at ticket kiosks on the boardwalk. Individual ride prices are between $4-7. New Brighton State Beach has camping on-site and offers campfire programs throughout the summer. Kids can also participate in Junior Ranger programs during the day. Santa Vida RV Park is close to downtown Santa Cruz and has 23 acres of redwoods, madrone, and oak. If you’re going to San Francisco, be sure to…skip lunch and have a massive sundae at the Ghirardelli Ice Cream & Chocolate Shop instead. Kids (and adults!) are mesmerized by the giant vats of liquid chocolate spinning and churning out delicious treats in the shop as well. Ride a cable car, and if you find them especially fascinating, visit the Cable Car Museum where you can watch cables spin under the street. Wander through Golden Gate Park and try a paddle boat on the lake…and be sure to visit the Golden Gate Bridge as well. 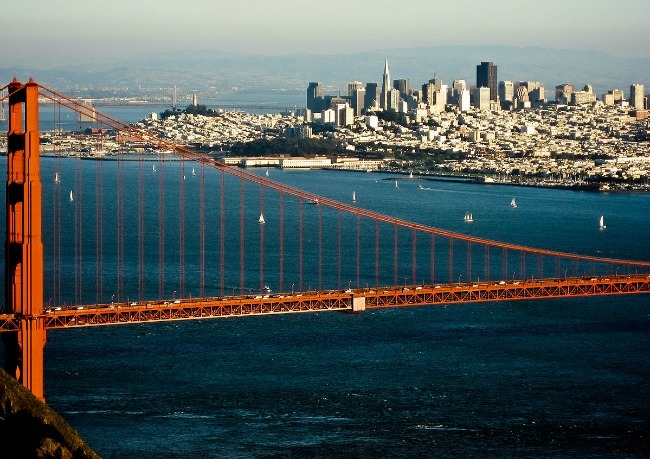 There’s so much to do in San Francisco — from unique hands-on museums like the Exploratorium, to world-class shopping, to even more impressive restaurants and bars and wineries. The San Francisco RV Resort is 15 miles from the Golden Gate Bridge and is on a bluff overlooking the Pacific Ocean. Perfect for watching the sunset, or the many surfers who head to the Pacifica beaches in search of the perfect wave. Don’t let the name fool you — if you visit Death Valley at the right time, it’s a breathtaking experience you’ll remember forever. To be sure, it is the hottest, driest, and lowest national park. At 282 feet, it’s actually the lowest point in North America. The best time to visit Death Valley is…well, anytime other than the height (and heat) of summer. The spring brings a beautiful show of wildflowers, and the multicolored rocks in places like Artist’s Palette can be appreciated any time of year. 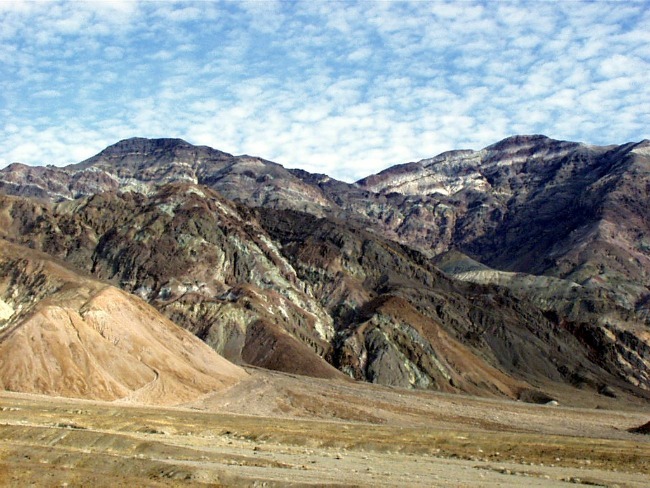 In fact, much of Death Valley can be explored by car, or with a short amount of walking. If you’re looking for longer treks, places like Mosaic Canyon or Ubehebe Crater are fun to explore (it is recommended you hike or do other more strenuous activities between November and March when temperatures are lower.) However you choose to explore the park, Death Valley is a wonderful, unique stop on California RV vacations. Furnace Creek Campground in Death Valley National Park has RV camping. The campground is close to the golf course and spring-fed pool at The Oasis, and guests can use both for a small fee. Yellowstone may get more attention for its volcanic activity, but Lassen Volcanic National Park has its own impressive share of fumaroles, bubbling mud pots, and volcanic activity. The park also has crystal clear mountain lakes, meadows covered with wildflowers, and scenic mountain vistas. Visitors to the park can backpack, fish, swim, and bird watch in warmer months and cross-country ski, snowshoe, or sled in winter. 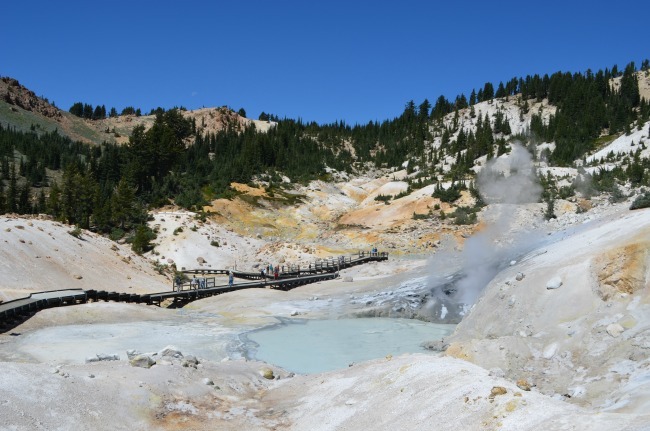 Your first stop in the search for volcanic activity should be Bumpass Hell — a three-mile round-trip hike that takes visitors to a bowl of mud pots, bubbling pools, and steam vents including the super hot Big Boiler. Boiling Springs Lake is another impressive sight — a short hike leads to a bubbling lake with a temperature around 125 degrees. Manzanita Lake Campground at Lassen Volcanic National Park has RV sites and a dump station nearby. The campground is adjacent to Manzanita Lake, where there was swimming, fishing, kayaking, and hiking. 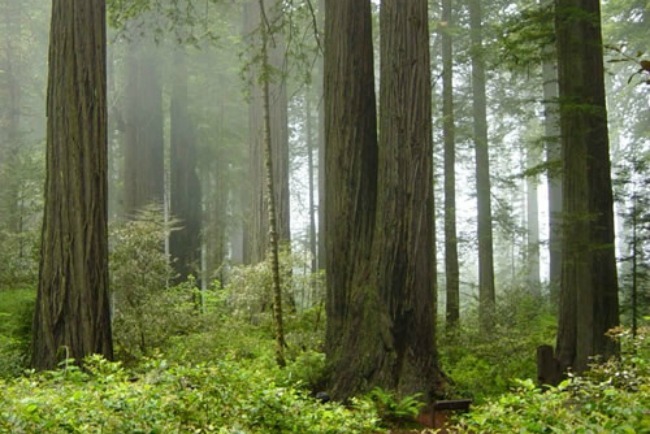 The best RV trips to California definitely include a stop to see the tallest trees on earth. Hike on the 170-mile trail system within the parks, or bike, kayak, and view wildlife throughout the parks. You can even join a ranger-led kayak tour during the summer months. Be sure to visit Tall Trees Grove, where a four-mile round trip hike leads you to an alluvial flat next to Redwood Creek and what was once known as the world’s tallest tree. The Trillium Falls hike is also a lovely, scenic walk through old-growth redwoods near a sawmill site. The trail features stands of redwoods and a small but beautiful waterfall. You can also hike the California Coastal Trail through the park. Walk along coastal bluffs, see sea lions below, and possibly even whales off the coast. You’ll find secluded beaches, undisturbed tidepools, and unparalleled views of the coast along the way. Price: The National Park is free to visit. State parks may have day use fees. There are four developed campgrounds within the national park — Jedediah Smith, Mill Creek, Elk Prairie, and Gold Bluffs Beach. There are no hookups available at any of the campgrounds but Mill Creek and Jedediah Smith do have dump stations and there are showers available at all the campground sites. There is, of course, plenty of wine tasting to be done in Napa Valley. 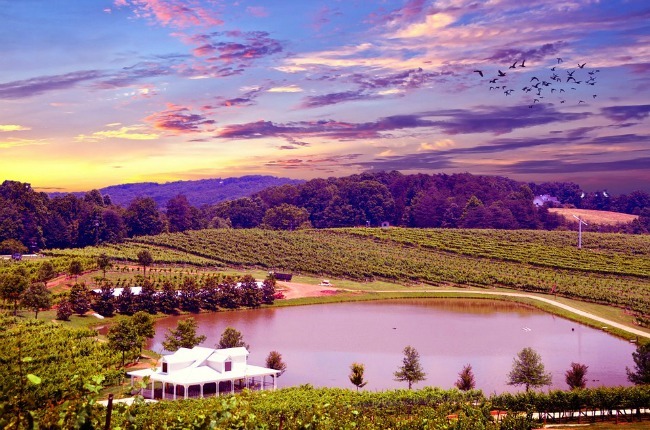 Some of the best winemakers in the world call the region home. You can plot the route for your own self-guided wine tour or hop aboard a wine train and have someone else plan the route for you. Along with wine tasting, there are plenty of other ways to enjoy the beautiful scenery of Napa Valley as well. Take a balloon ride over the valley, go hiking through the region, or take a bicycle for a charming ride. You can also boat, paddle board, or kayak the Napa River. There is world class golfing in the area as well, and seven restaurants that have earned the coveted Michelin stars. The Bothe-Napa Valley State Park offers camping, picnicking, swimming, and hiking trails through stands of redwoods and Douglas fir forests. The park also has a swimming pool open to visitors. The Calistoga RV Park is near the Mount St. Helena Golf Course and the Calistoga Art Center, and close to downtown Calistoga. Lake Tahoe is host to a variety of different groups of people. Families vacationing with their children. Young adults looking to have some fun on the lake and in the casinos. Yachters and boaters and fishermen. You can trail across the lake on a fast-moving jet ski or follow the salmon trail up Taylor Creek near the Tahoe wetlands. Visit the Tallac Historic Site to see how men and women of means spent their time at the lake over 100 years ago. Then head next-door to the Taylor Creek Visitor Center to learn about the wetlands, the Truckee Marsh, and the salmon that make their way up the creek each fall. If you’d rather try your luck at the slots, the Hard Rock Hotel & Casino, Montbleu Resort, and the Lakeside Inn and Casino are all close by. Heavenly Ski Resort is known for its world-class skiing of course, but in summer there are a variety of activities including gondola rides, ziplines, ropes courses, and summer tubing. Zephyr Cove RV Park & Campground is on the south shore, a short walk from restaurants, a private beach, lake cruises, the corral, boat rentals, and souvenir shopping. In winter, the campground has a snow removal service as well. 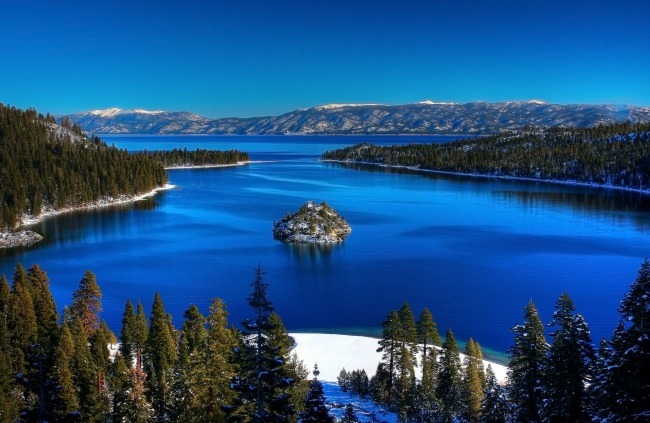 Camp Richardson, also in South Lake Tahoe, offers lakeside lodging, a marina during summer months, and cross-country skiing in the winter. D. L. Bliss State Park Campground is near the stunning Rubicon Trail, which allows hikers breathtaking views of the lake. California has everything from the adult indulgences of wine tastings and gambling to kid-friendly amusement parks and boardwalks. The state’s scenic parks and coastal drives cannot be rivaled. Even RV trips to the hottest place in North America can be awe-inspiring. From its majestic mountains to the azure ocean, California is a state not to be missed. This free California RV travel guide should give you some ideas on what not to miss! If you need more suggestions, try one of these California RV parks, too. If you’re looking for an RV rental, RVshare can help. They have a search feature to help you find a California RV rental anywhere in the state. Hopefully, these California RV travel tips will inspire you to plan your own adventure.